You've chosen the objective and planned the route–it's time to grab your pack and head for the hills. 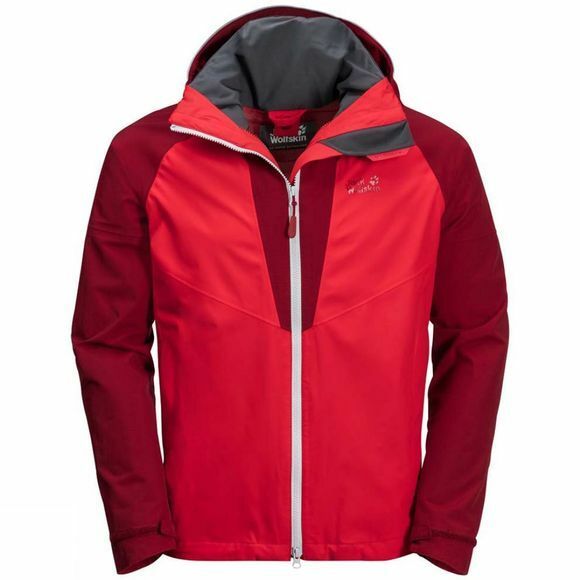 The Mens Apex Summer Peak Jacket is with you all the way, protecting you from the elements from the trails of northern Scandinavia to the hills close to home. The hood, shoulders and sleeves of the shell jacket consist of a robust Ripstop fabric designed to withstand the wear and tear caused by pack straps and dense undergrowth. For the body of the jacket we have used an extra soft fabric that feels great to wear and promotes good mobility. If the trail takes you high up into the mountains you can zip a compatible fleece jacket into the Mens Apex Summer Peak Jacket to create a winter-ready combination. With its clean, unfussy design, this is also a great jacket to wear around town.